Simply the best pocket knife in existence! 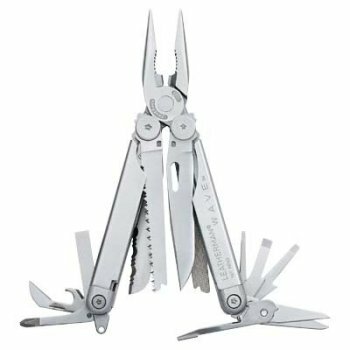 The packageis bigger than a Micra, but much smaller than a full-size Leatherman; about the size of a medium-large penknife. The color is cool blue, which I happen to find quite attractive. 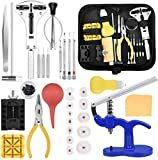 The tools are everything you'd expect, and then some. There's an open-spiral corkscrew (the best kind), which actually has an "assist", just like a professional bartender's folding corkscrew. I have *never* seen this on any other pocketknife. 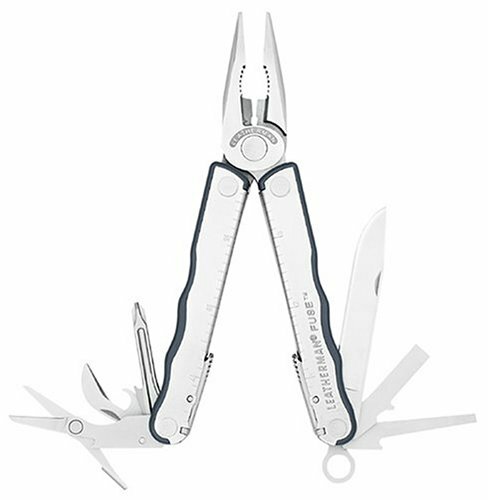 The primary fold-out tool is a gorgeous pair of needlenose pliers with wire cutters (unlike the Micra, which only has a scissors), but it ALSO has a strong fold-out scissors on the side. NEAT! Let's keep going! 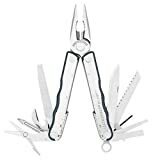 When it comes to screwdrivers, you just can't beat this thing: it has small, medium and large flat-heads, plus a Phillips (not a dinky flat one, but a real, 3-D one) and best of all, every one of these blades flips out from the center, allowing you to re-close the handles and have a superbly balanced, correctly proportioned, long-handled screwdriver; the best I've ever seen, without question. But don't stop there. This thing has a saw, a can/bottle opener, and an awl with sewing eye. And a knife! A nice, loooong one that is the sharpest I have ever seen on a pocket tool. 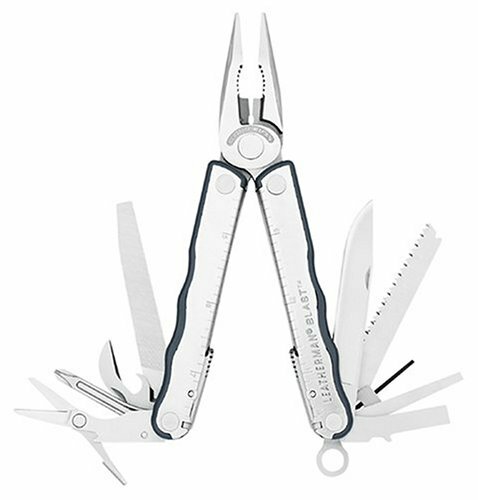 It has a solid, tapered blade that cuts through stuff like butter, making it a joy to use. 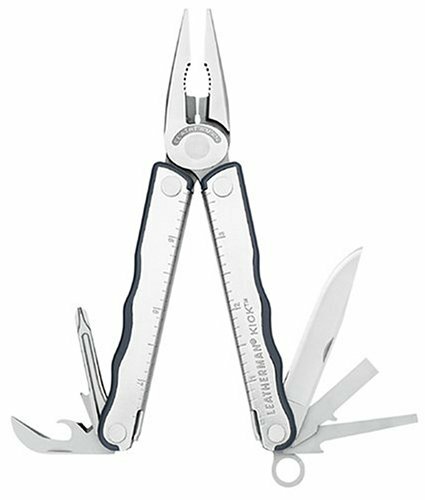 I realize, on re-reading what I've written so far, that it must sound as though I've gone off my rocker (or work for Leatherman, which, of course, I don't). I really am aware that one just isn't supposed to have feelings like this about a pocketknife! But all I can say is that I simply adore this tool, carry it with me 24/7, and wouldn't trade it for anything. 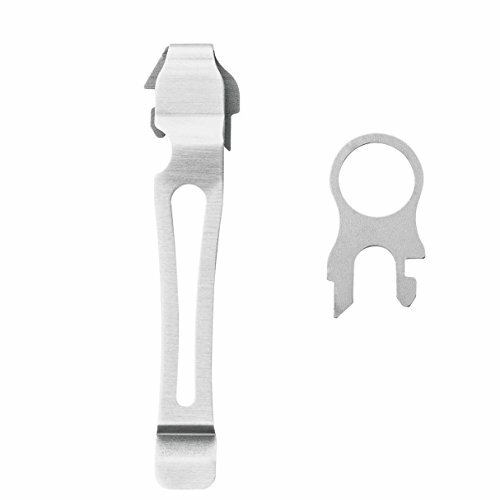 It is simply the finest combination/compromise on size, style and functionality that you will find in a pocket tool (including the rest of the Juice line). It is more costly than most, but without question worth the price. Trust me on this [grin]. I have the CS4, the Wave and a Supertool. I wear my Wave on my belt all the time. This would be my last choice for carrying around on a daily basis. The bad: Everything is stiffer than my Wave (even a new Wave). The screwdrivers are harder to get out, since some of the nail nicks are shallow and things start out pretty tight. The blade is short and none of the tools lock. 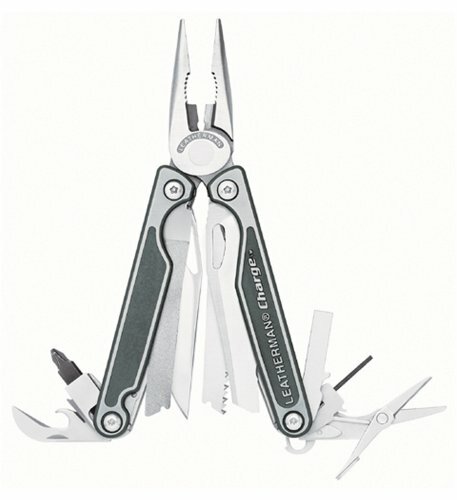 Things are not as thick/robust as the Wave, but it is a Leatherman tool: build quality is high. The good: Everything's small and nothing locks. This is a tool to carry around when you don't want to carry a Wave. 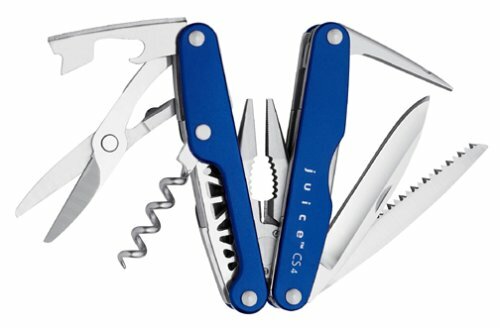 It's got enough tools to handle most situations, including a corkscrew. (Yes, I got it for the corkscrew.) 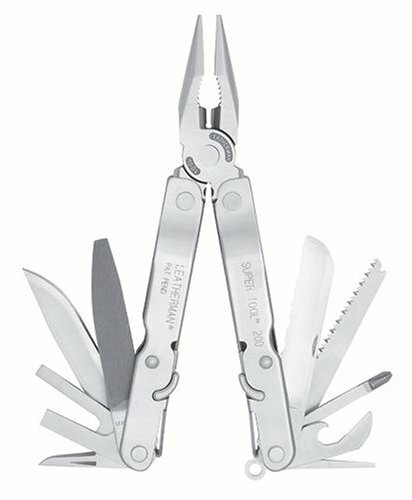 It's got enough stuff to be useful in a pinch, but isn't as generally useful as the Wave. Basically, this tool won't displace my Wave for most days, but it'll be great when my wife won't let me walk around with a bigger tool. 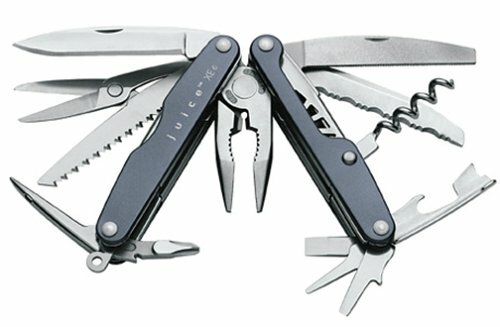 If you're looking for a general multitool, I'd recommend looking at the Wave or Supertool before choosing this one. The CS4 is slightly more expensive but less usable. 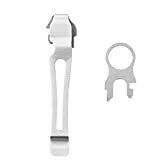 If you really need a small tool or the corkscrew, this would be a decent choice for your only tool. We bought two of this because it looks so great in the review and advertisement. After using it for a month, there are some flaws, which should be improved to make it a practical tool. Does anyone know what's the awl for? To us, it is too blunt to be useful. It should have sharper edge so we can actually open envelopes, remove staples, etc. The set of screw drives is comprehensive but take care not to exert too much force on them especially the small one, the tip WILL BEND. Anyway, it was be repaired with the other CS4 :-). If you are a Swiss knife user, you will find the Philips screw tip drive too big for common screws found in the office. Also, you should be real careful about the blade, cause it is really sharp... it hurts but we love it. If you are not too fussy about the strength of the tool, go get it. 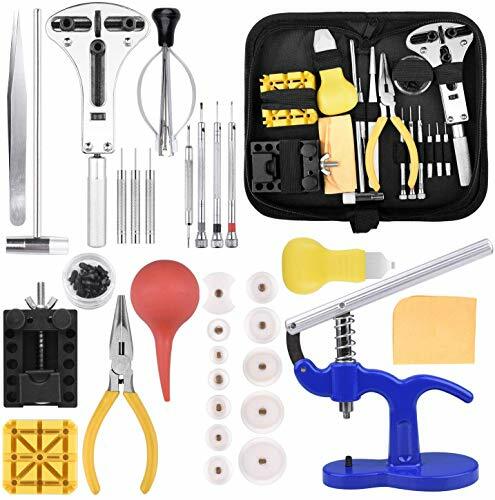 I recieved this a gift and I can tell you that it's one of the best tools I've ever used. However, I do have two concerns. One is that the blades don't lock which means that if enough pressure is applied, it can hurt someone by folding in. As well, the saw has a tendency to fold onto the awl, I have to use quite a bit of force to make sure that it folds properly. However, the blade is really sharp and the screwdriver bits are the best I've ever seen. As well the tools open with a solid click which is somewhat reassuring. 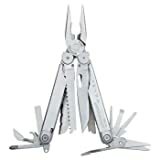 This tool is right for you if your looking for a small multi-tool that will be used for general not industrail use! 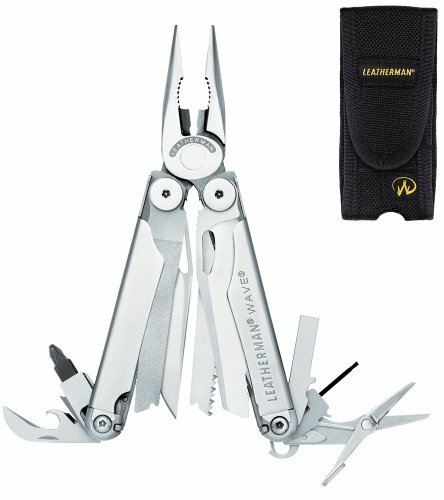 Does Leatherman even have customer service? Twenty Five Year Warranty! boasts the literature. 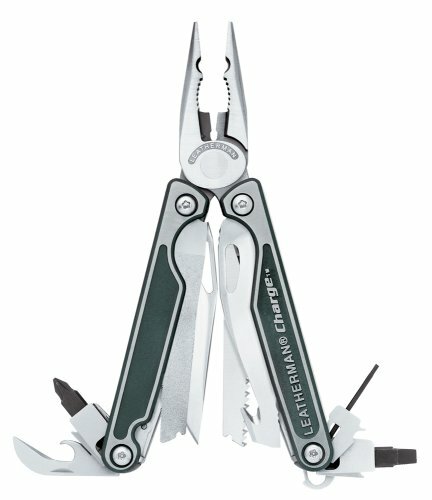 Leatherman's warranty department was completely non-responsive to an emailed query re an anodizing issue. (The anodizing was chipping and flaking off of 1 of 2 I had name-engraved as Christmas gifts- admittedly a bit of a self-imposed problem, but one which deserved a response or reprimand nonetheless.) I ended up sending it (the email) about a half-dozen times, copying both their warranty and marketing departments. Zero. No response - nothing. I would have preferred they tell me to kiss-off, get a life, get a clue, quit engraving, buy a Gerber, etc., but to completely ignore a customer is poor customer service for which one has no recourse save for a forum like this. 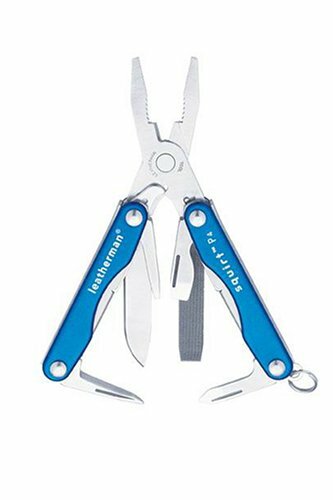 I have purchased 5 different Leathermans (gifts) and to be utterly ignored is most disconcerting. As for the product itself, it is an invaluable tool which has become a part of my everyday life - a third hand if you will. I feel naked without it. I've noted that one half of the Juice is slightly wider than its opposite, which I find slightly odd, but typical amongst all like models. 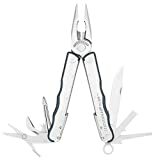 So, c'mon Leatherman, if anyone is listening - please respond to your faithful devotees when asked! You're not the only game in town.